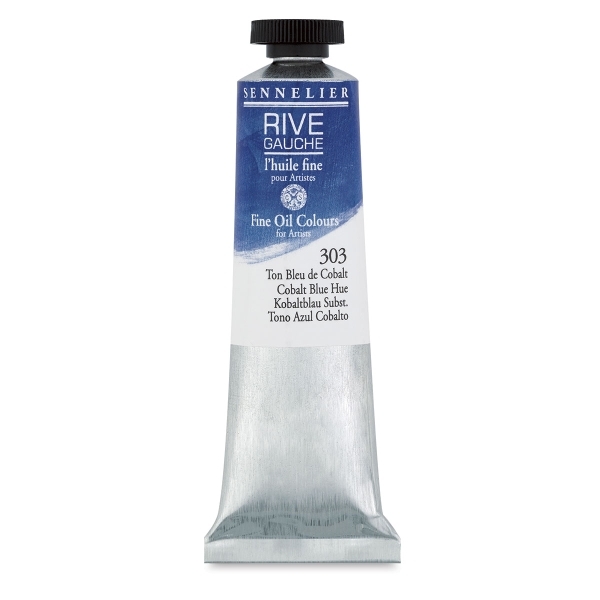 Designed to dry faster and resist yellowing better, Sennelier Rive Gauche Oil Colors are a great addition to your palette. The Rive Gauche formula boasts a quicker drying time than classic oil brands, making them a good choice when painting multiple layers. While another Titanium White may take more than a week to dry, Rive Gauche dries in as little as five days — almost twice as fast! 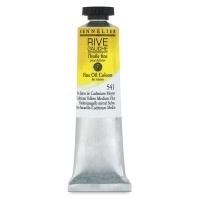 Rive Gauche Oil Colors have a high pigment concentration, which allows for strong covering power and cleaner mixes. The range includes 32 single-pigment colors. 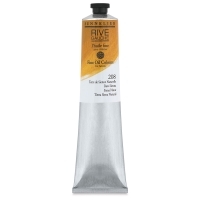 For professional and student artists, this oil paint is wonderful for creating foundation layers before moving into Sennelier Artists' Extra Fine Oils to finish. Set of 10 Tubes — Expand your palette with this mix of primary and secondary colors. 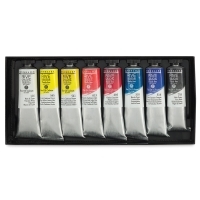 This set contains 0.71 oz (21 ml) tubes of Titanium White, Primary Yellow, Primary Red, Ultramarine Blue Light, Primary Blue, Sap Green, Burnt Sienna, Ivory Black, Vermilion Red, and Cadmium Yellow Deep Hue. Set of 8 Tubes — This comprehensive set of primary colors is perfect for beginners, or for artists who need to restock the basics. 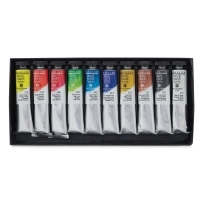 This set contains 1.35 oz (40 ml) tubes of Titanium White, Cadmium Yellow Lemon Hue, Cadmium Medium Hue, Cadmium Red Light Hue, Alizarin Crimson, Prussian Blue, French Ultramarine Blue, and Ivory Black.